Mission Navy Yard takes any holiday involving tacos seriously. 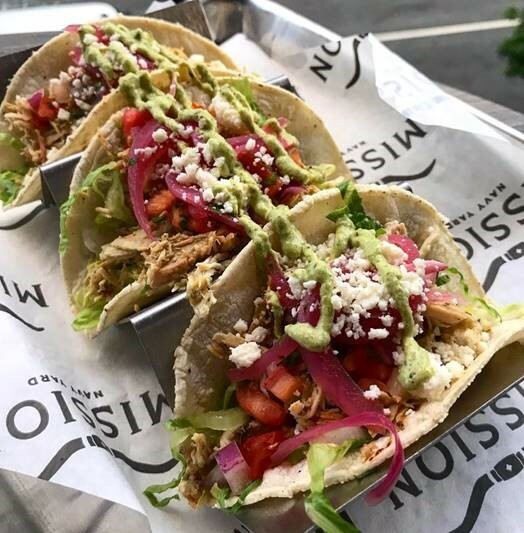 The new enormous bar and restaurant across from Nats Stadium will host its first National Taco Day, October 4, with $3.50 chorizo, chicken and veggie tacos from 5 pm until close. And since it’s tough to enjoy a tasty taco without washing it down with a cold beverage Mission Navy Yard will have $7 Mission Margaritas and $22 Margarita carafes all night. The Yards Park Boardwalk Block Party!